Maybe Elijah should have played Marilyn. Fade in on a boy, with a hunger for fame, and a face and coiffure to remember. 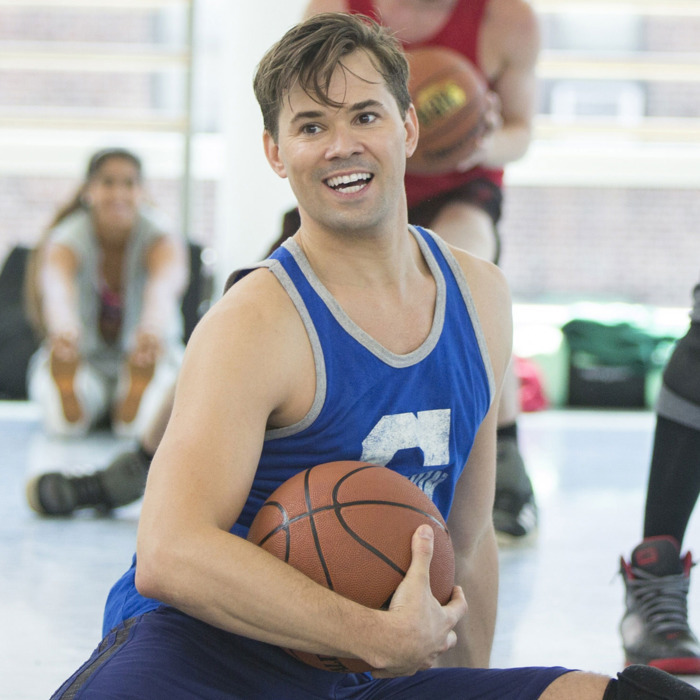 On Sunday night’s episode of Girls, Andrew Rannells’s Elijah decided to chase his Broadway dreams by auditioning for a musical adaptation of White Men Can’t Jump. After some back and forth, he chooses to sing “Let Me Be Your Star,” the standout number from the fictional Marilyn Monroe musical Bombshell, from NBC’s brilliantly terrible TV show Smash, during his audition. It’s a smart character moment — of course Elijah would hate-love Smash — and a way for Rannells to show off the pipes he put to work in The Book of Mormon. We have just one question: Becky Ann Baker, a.k.a. Hannah’s mom, was also on Smash, so who played played Katharine McPhee’s mom in the Girls universe’s version of the show? And this version from Jeremy Jordan and Jonathan Groff.